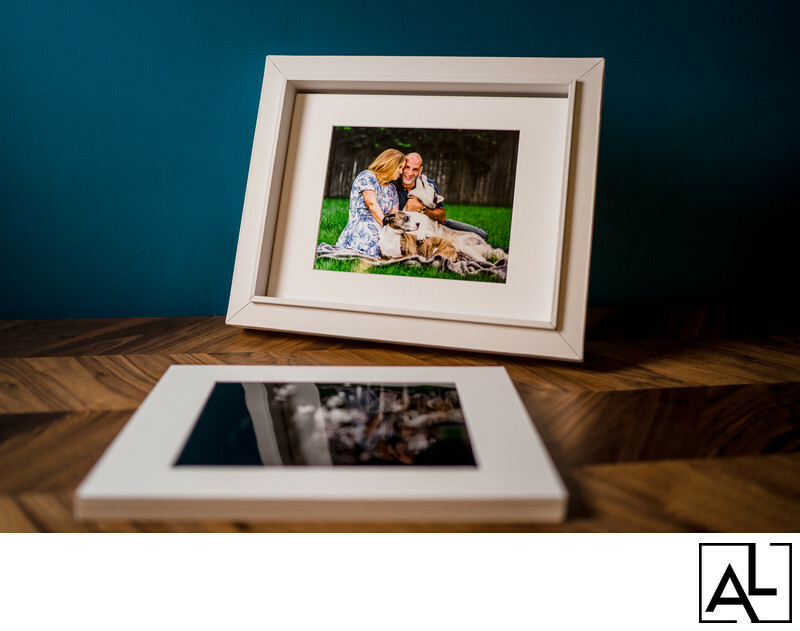 After your photographs have been taken we will have a 1-hour design consultation to finalize your custom wall art and/or photo album. 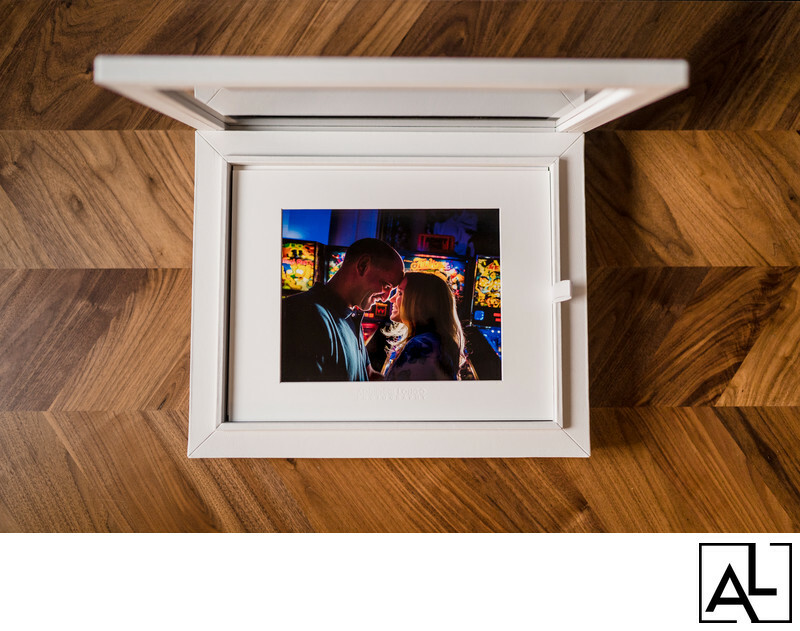 These collections have been specially designed to display what's important to you in the perfect size for your chosen location. Personalized artwork collections are available in acrylic and canvas. Each piece is handmade in Italy and is built to last! The printing is archival, which means they are fade resistant! 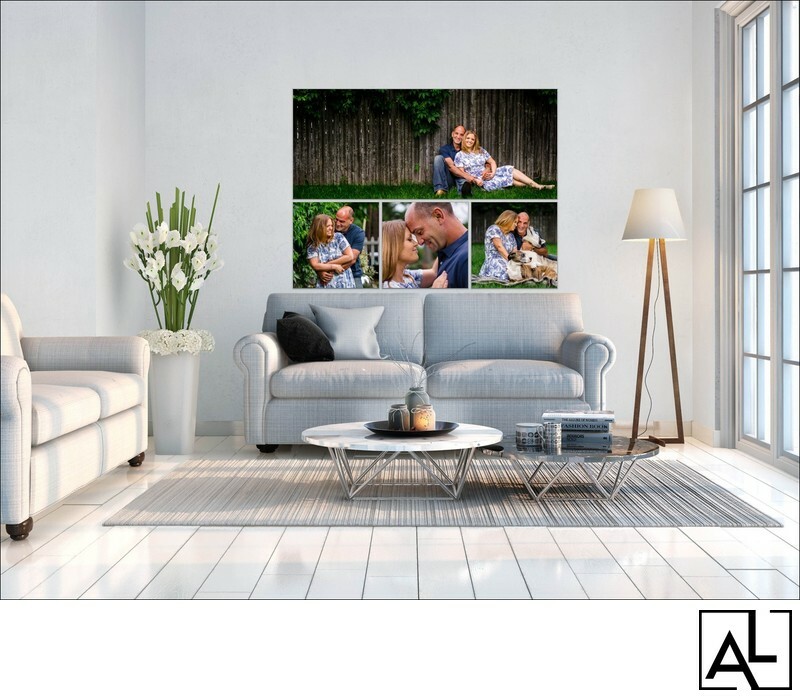 A substantial collection of wall art displaying a feature photograph in large scale and surrounded by 4 photographs to complete the story. 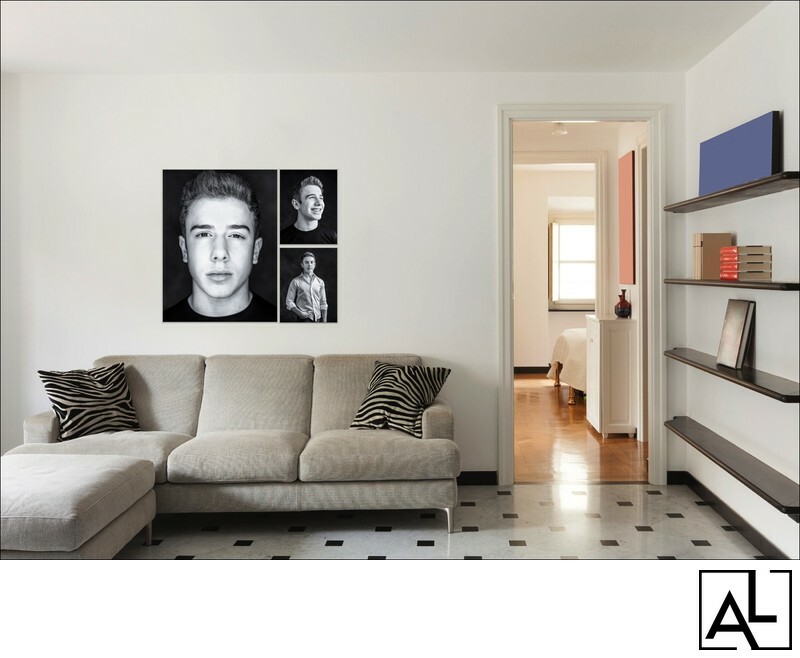 A substantial collection of wall art displaying 2 panoramic photographs and 2 squares to complete the story. A substantial collection of wall art displaying a large feature panoramic photograph and 3 supporting squares to complete the story. 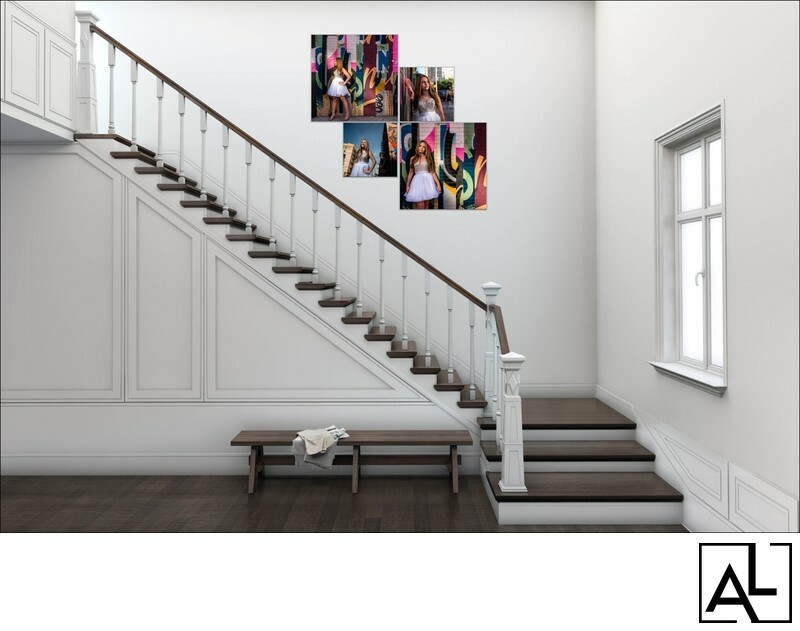 A collection of wall art displaying a feature photograph in large scale and surrounded by 2 photographs to complete the story. 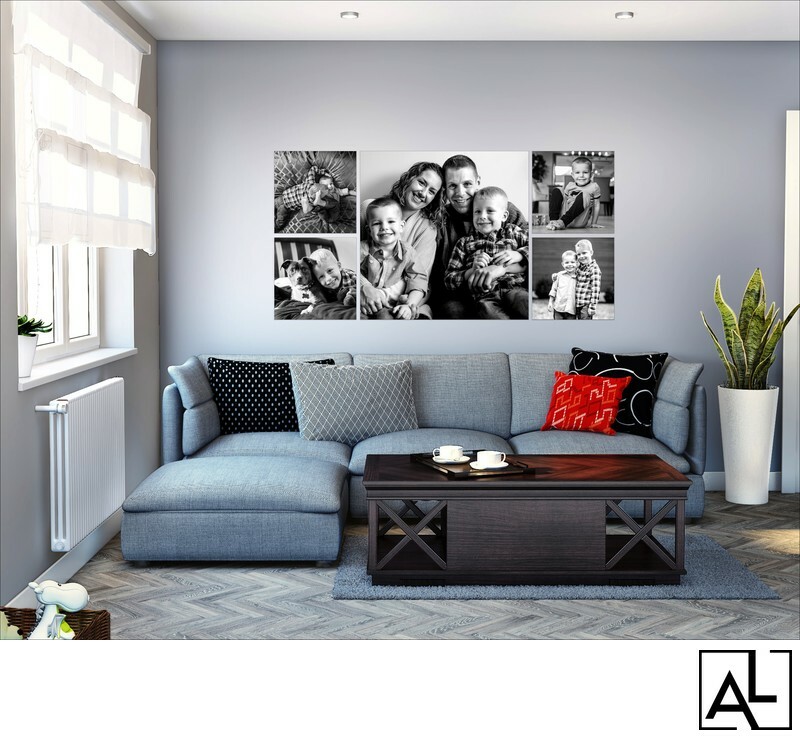 A substantial collection of wall art displaying 2 feature photograph in large scale and surrounded by 2 square photographs to complete the story. 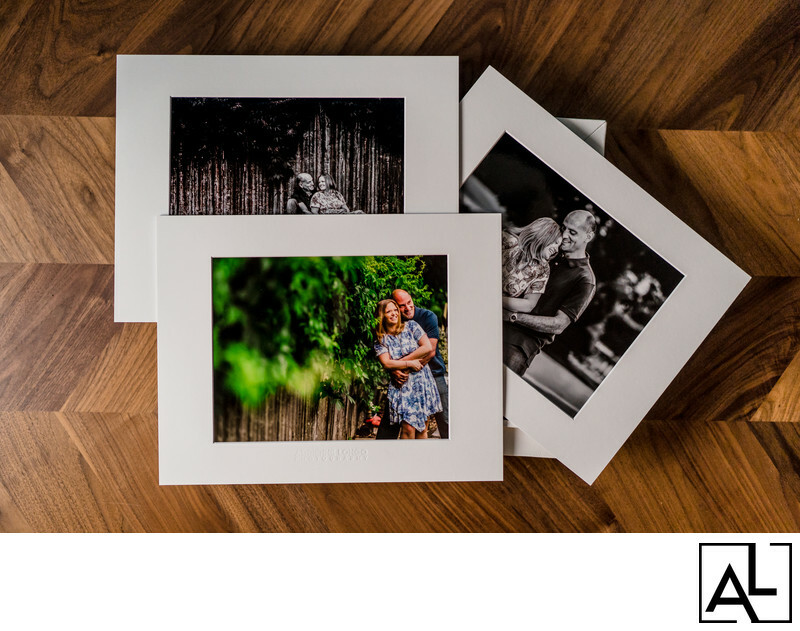 A one piece collection of 5 photographs, 1 being a horizontal feature. 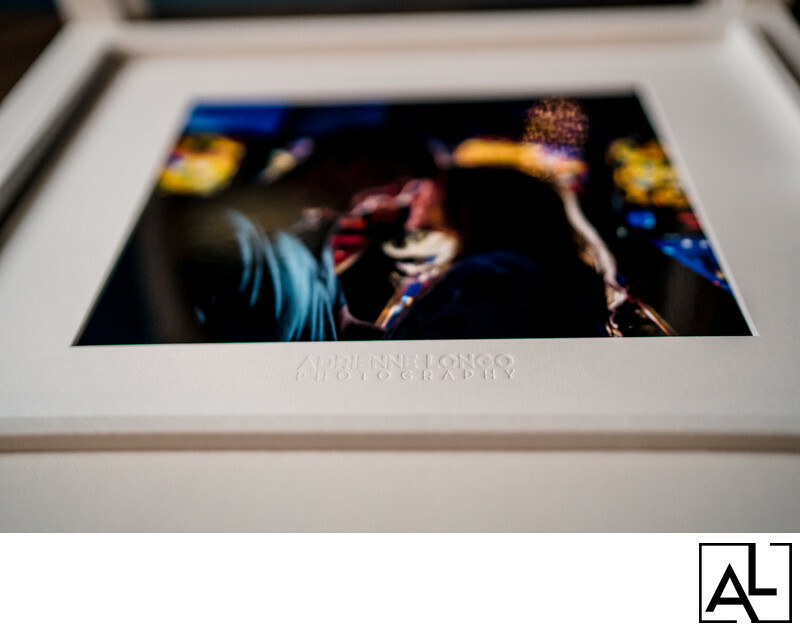 A perfect solution for artwork that can fit anywhere. A perfect solution for a tabletop or bookcase! The top photograph is displayed through the glass lid. You can switch out your favorite any time you want to celebrate a different moment! 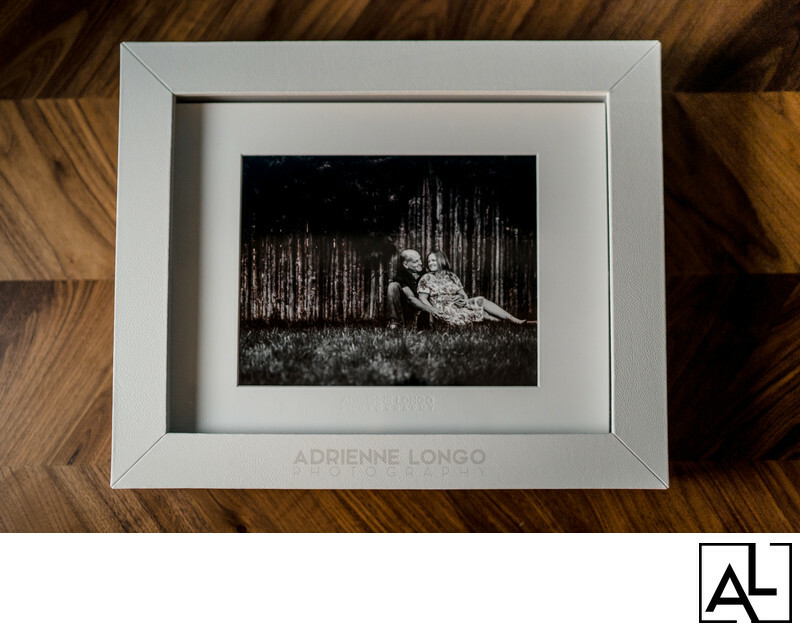 All of the photographs are matted and perfectly fit into a wood or leather 11x14 hand crafted box. Readily available in black or white. Custom colors upon request.